The US State Department has defended Kiev’s right to use airstrikes against civilians in eastern Ukraine explaining that it is defending the country. 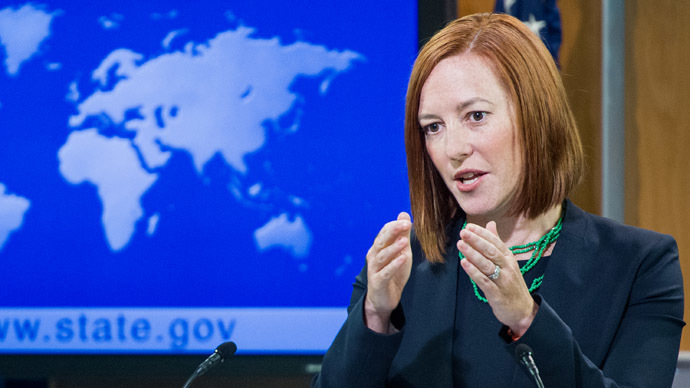 “The government of Ukraine is defending the country of Ukraine and I think they have every right to do that as does the international community,” State Department spokeswoman Jen Psaki said in response to RT’s Gayane Chichakyan’s question about Ukrainian air force strikes in eastern Ukraine. 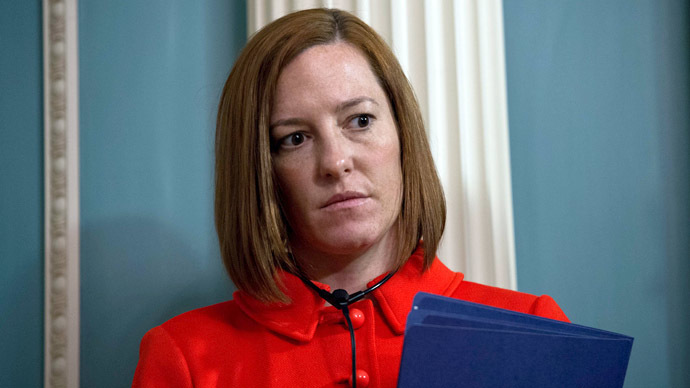 “The people of Ukraine have the right to live in peace and security without Russian-backed separatists attacking their homes and going into buildings and I think that is where the root cause of this is and we shouldn’t forget that fact,” Psaki added during the briefing on Monday. 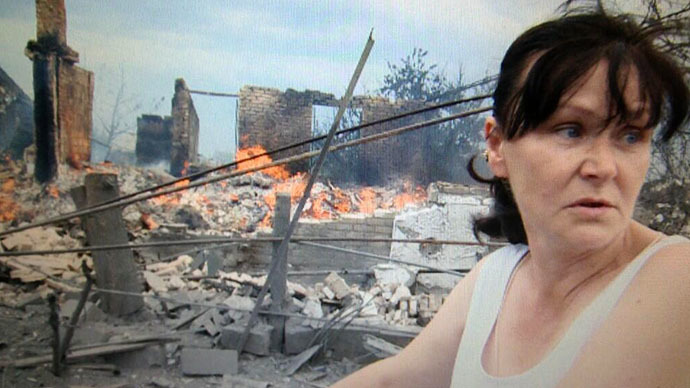 Despite the horrific footage of eastern Ukrainian villages and towns being shelled by the Ukrainian air force, the State Department continues to stand behind Kiev’s actions, saying that all those killings are the fault of anti-Kiev forces. Just last week, 12 civilians were killed including a five-year old in the eastern Ukrainian village of Kondrashovka, which was shelled by Kiev troops. 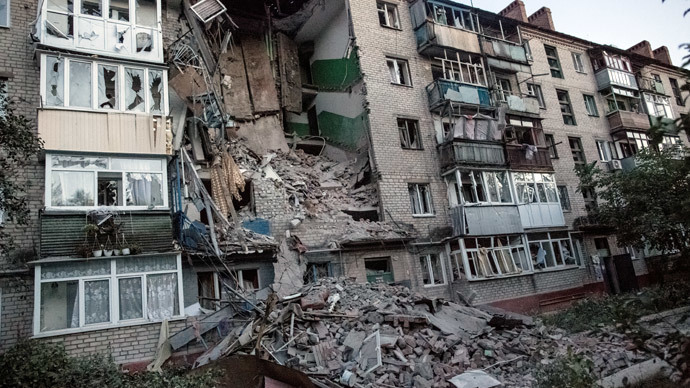 At least five shells hit the settlement, destroying an entire street in the peaceful Lugansk region community, 25km from the city of Lugansk. Aside from approving Kiev’s actions, the US State Department denied reports on the number of refugees fleeing the conflict in eastern Ukraine to Russia, including UN’s statistics. 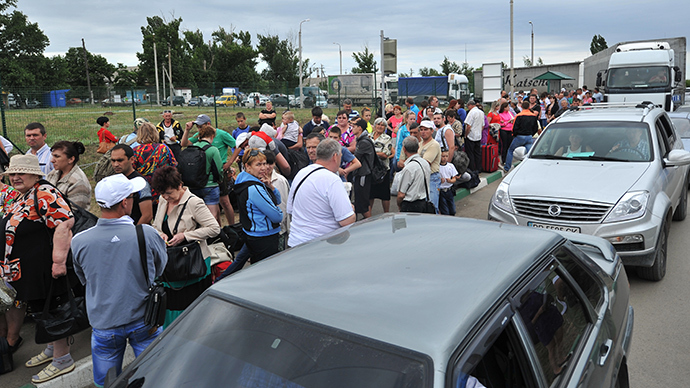 UN High Commissioner for Refugees (UNHCR) stated that the number of Ukrainian refugees in Russia has reached 110,000 people, while 54,400 others have been internally displaced. In response, the State Department’s spokesperson Maria Harf said she cannot confirm this data, and thus can’t consider it reliable.